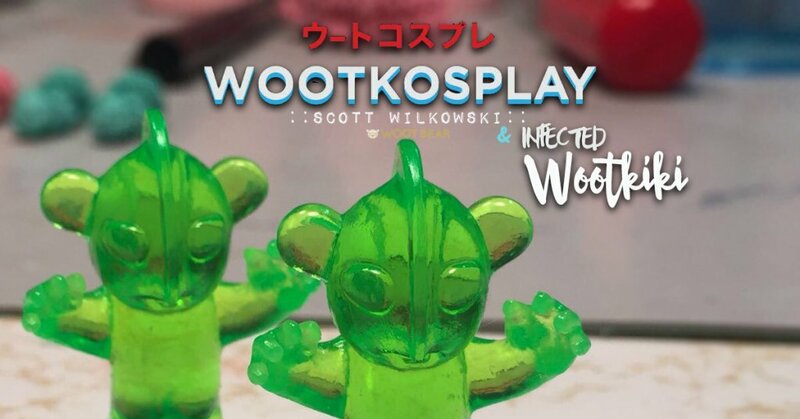 It was only yesterday we gave you the exclusive first look at Scott Wilkowski x Woot Bear “Infected WOOTRON” yesterday you saw a little tease of the red Infected Wootkiki and Today we have the new colours as the infection continues to spread. Hold up, did Scott just bring back his homage of ULTRAMAN? HE sure did! Wootkosplay makes a return in Clear GREEN! So cute right. DCon attendees are you prepared to grab ’em! Look out for more Scott Wilkowski x Woot Bear Dcon drops in the next few days. Make sure you check http://wootbear.com/ over Dcon period as secret drops for collectors who can’t make it to Dcon. We recommend adding yourself onto Woot Bear’s waiting list for Dcon releases HERE. Find Scott via http://www.scottwilkowski.com/ and Instagram.Woot Bear is a Collectible Designer Toy Store and Art Gallery located at 1512 Haight St. in San Francisco, CA.